In 2018-2019, PhD researcher Alexandra Sanchez is completing a semester-long research stay under the supervision of documentary filmmaker and academic Jennifer Maytorena Taylor at the University of California Santa Cruz. 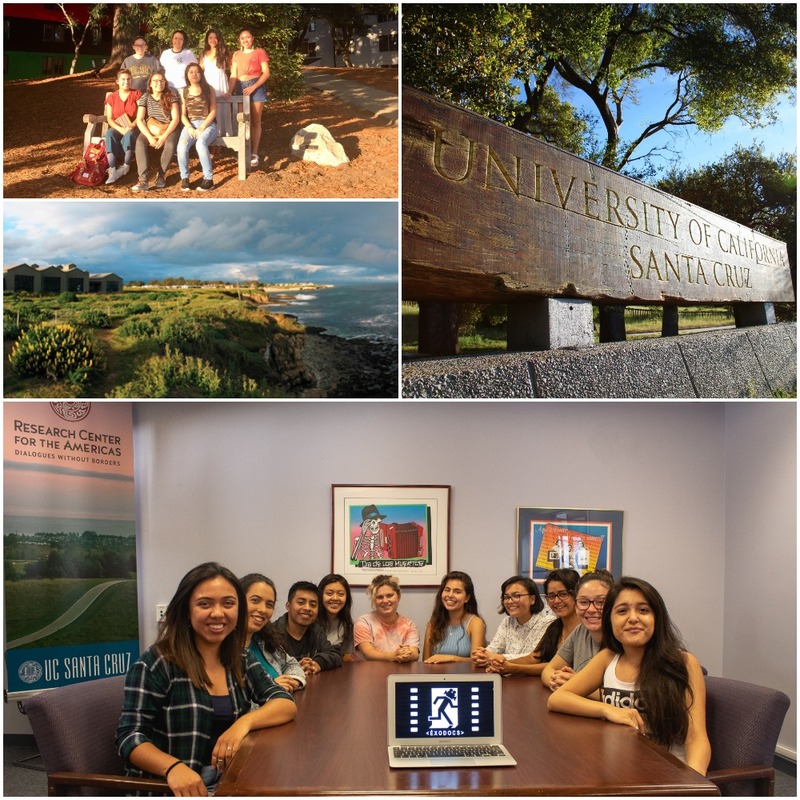 Assisting her with the analysis of the ÉXODOCS corpus are 9 UCSC students who partake in the Undergraduate Research Apprenticeship Program (URAP). This opportunity was made possible by Associate Professor Dr. Sylvanna Falcón, head of the UC Santa Cruz Research Center for the Americas, and RCA Faculty Affiliate Jennifer Maytorena Taylor, Associate Professor of the Film and Digital Media Department and Director of Graduate Studies of the Social Documentation MFA Program at UC Santa Cruz. Thank you both! For more information, please visit https://rca.ucsc.edu/undergraduate/urap-2018.html.